Lightning Len Dillon showed his verve for handling machinery early on while growing up on the family farm in Enterprise, Ont., north of Kingston. Len boasted that by age 8 he handled the Ford tractor on par with the adults he knew. He graduated to an old beater car handed down from his brother so he could roar around local fields well before he was of legal age for driving. Conversely, Len waited until age 26 before getting his first motorcycle, a 65 cc Honda in 1973. From then, though, things moved quickly and the following year he won a Canadian junior class enduro championship, followed by a win in 300 senior in 1975. The next year Len missed winning the expert class by a single point. 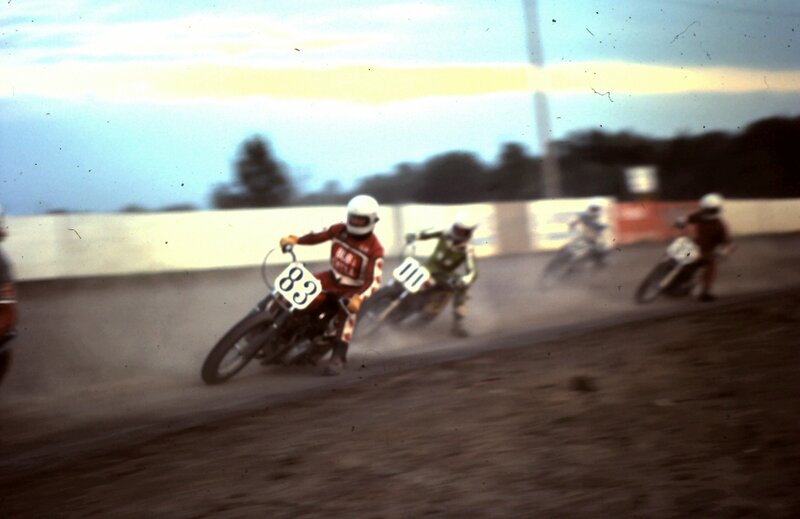 He branched out into motocross and then took to the ovals, riding a Triumph in dirt track and winning the 1977 senior 750 national championship. 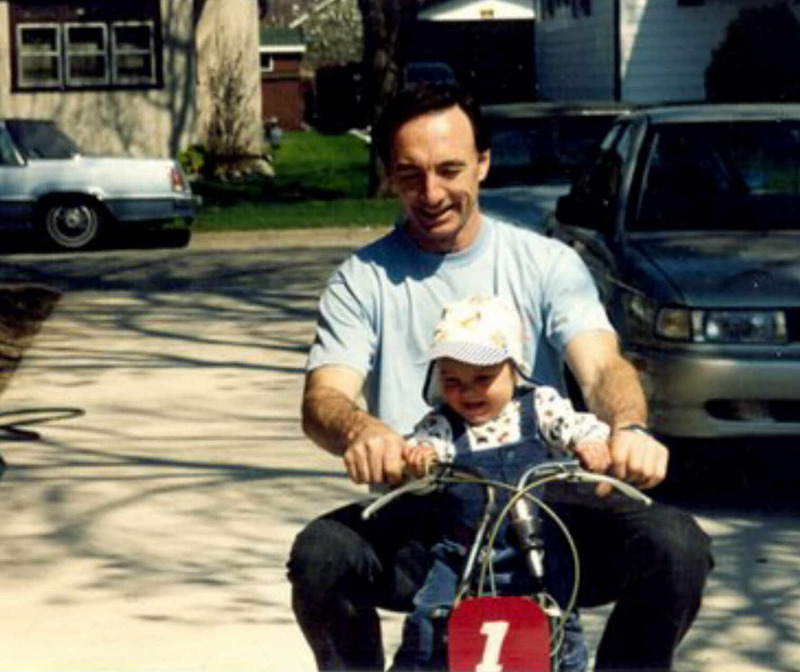 At the end of the 1979 season Len was recruited by Stan Bradbury, a previous Hall of Fame inductee and the undisputed godfather of Canadian speedway racing, into a test ride on one of Stan’s speedway machines. As Stan no doubt anticipated, the hook was set and Len adopted speedway as his chosen sport from then on. 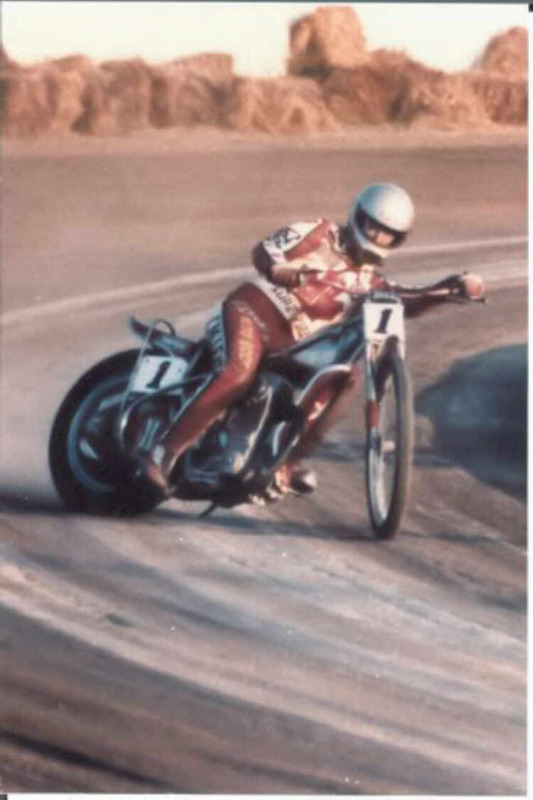 He picked up a Jawa race bike and began his speedway career in 1980; over the next 20 years Len Dillon became a legend on short tracks and long. 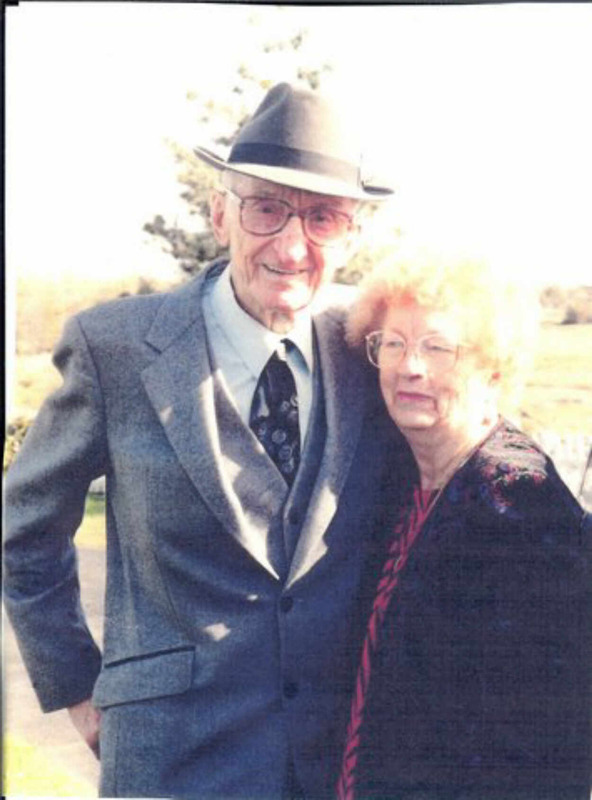 Len’s physical fitness and quick reactions led him to immediate success and inspired the nickname of Lightning Len. Speedway races are short but extraordinarily intense, without a second’s interval between winner and also-ran. The motorcycles have no gears and no brakes, and getting the best start requires the utmost concentration. Playing hockey, volleyball, skiing and snowmobiling all helped him keep fit and sharp for competition. Len often raced three times in a weekend, crossing the border from his home in St. Catharines, Ont., to races in New York State and back to his home track at Welland. Weekdays were taken up with work at the General Motors engine plant in St. Catharines, while on summer weekends Len and his wife Noreen, often with their children Shawn and Kim, could drive 1,000 km in order to race speedway, one mile at a time. His devotion to speedway soon paid off, and Len found his trophy shelves overflowing. His number of victories and awards is stunning. Len was the Canadian Speedway Racing Association’s high points winner nine times between 1980 and 1993. After many second-place finishes he finally became Canadian speedway champion and No. 1 plate holder in his fourth season, and won a total of 12 championships between 1983 and 1994 in short and long track speedway. 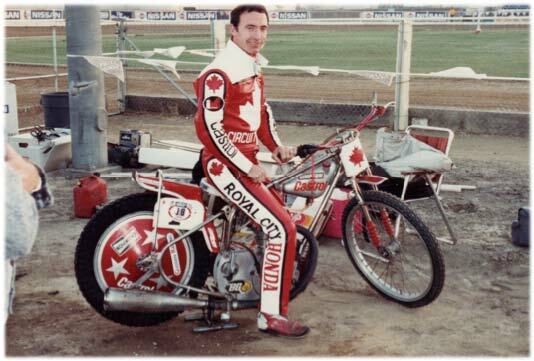 He represented Canada in U.S. qualifiers for the world finals in 1982 and 1988. He won the Canadian Motorcycle Association’s Billy Mathews Award for sportsmanship in 1989 and the White Memorial Trophy as the best all-around rider in all Canadian motorcycle sports in 1990. 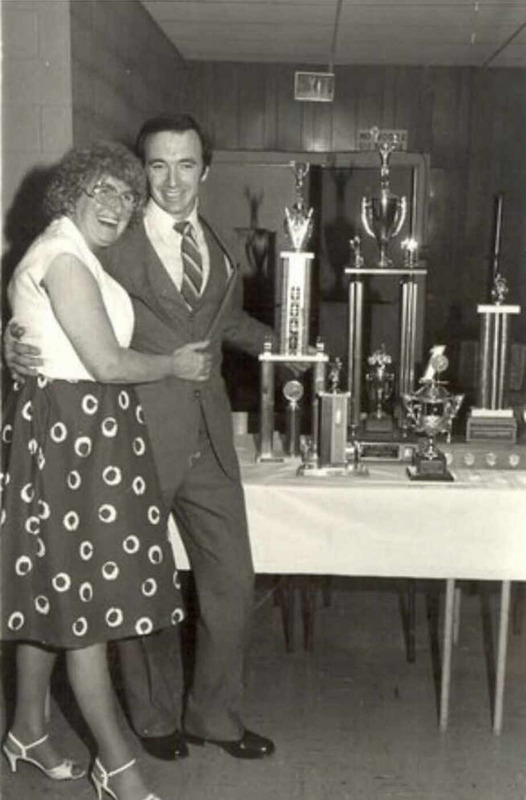 Len and Noreen were relentless promoters of speedway, putting on displays in shows, parades, at mall exhibits and in rider training schools to help build the sport. He also was mentor to many young riders during his long career. 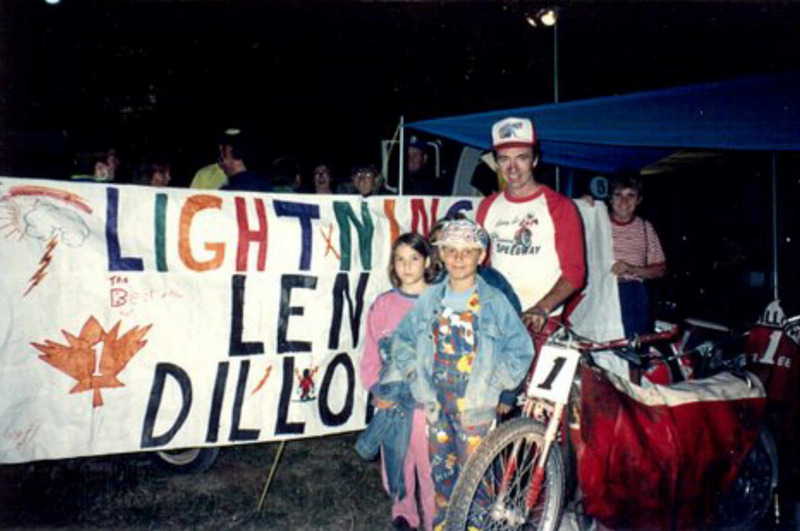 For 15 years Len volunteered his time for track grooming at Welland as well as at other short and long tracks in Ontario and the U.S.
Len announced his intention to retire from racing in 1996 when he finally left his job of 28 years at GM, but unlike the engine plant he couldn’t leave racing behind him. Now it was just going to be for fun. Len raced in Sweden, New Zealand and took part in former world champion Ivan Mauger’s long track series in Australia where he raced against world champion Tom Dunker and British champion Mark Loram in 1998, attracting favourable attention. The fun ended in 1999 when Len sustained serious injuries from a crash at a race in Trois-Rivieres, Quebec. Prior to that the injuries he had suffered were primarily work-related, but this time his bike tangled with that of a crashed rider who had jumped the start, Len hit the wall and his helmet came off. He had a long recovery and ideas of further fun on a speedway bike were ended, though Len still couldn’t give up motorcycles altogether. He found vintage trials therapeutic and even though his reflexes are no longer lightning fast he can still enjoy the sport with his grandchildren, now seven in number. Motorcycling is clearly in the blood.